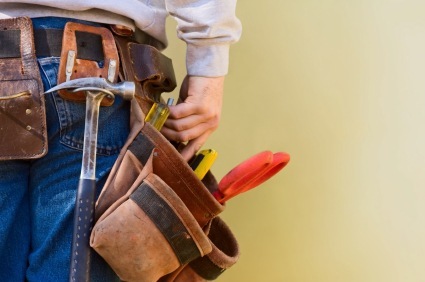 Looking for a Handyman in North Richland Hills TX? Then call TC's Blinds & Tile Services at (817) 381-0061 today! Our North Richland Hills handymen having been serving the area since 1999 and have years of experience in home maintenance and minor construction. When you need work done on your North Richland Hills home, you'll save time and money by calling a North Richland Hills handyman like TC's Blinds & Tile Services. For instance many North Richland Hills electrical and plumbing problems do not require a licensed master electrician or plumber. And North Richland Hills master electricians and plumbers generally don't want the small jobs, but TC's Blinds & Tile Services does! Our North Richland Hills handyman will happily replace your switch, repair a leaky faucet, and install your new washing machine. If you need a handyman in North Richland Hills TX, call TC's Blinds & Tile Services at (817) 381-0061 today! 5★★★★★ - "This was our first time to use TC's and we are very satisfied. We needed grab bars in the small shower in the master bath. The man asked several questions. We had not anticipated some of them but are very pleased. He left the area very clean!" 5★★★★★ - "Needed a shower update (from a 1999 build) and Tye did a fantastic job. He did a great job keeping the bathroom as tidy as possible while doing the job." 5★★★★★ - "Tye is the best! His talent for his craft and his creativity far exceeded our expectations. Also, he is super reliable and trustworthy. My husband and I will definitely use Tye again and highly recommend him to anyone looking for an experienced professional." 5★★★★★ - "Tye is a consummate professional who took my unfinished kitchen and turned it into a showpiece! His superb skills, professionalism, and courtesy made it a joy to work with him. " 5★★★★★ - "We found Tye Callaway through a close friend at work who recently had her bathroom remodeled. Tye’s attention to detail is unsurpassed and he listened to my wife’s concerns and made great recommendations. We are thrilled with the quality of work we received and he treated our home as if it were his own. We will definitely use Tye for our next project and recommend him to anyone doing remodeling. Tye is very professional, courteous and honest and best of all a great value for the price." 5★★★★★ - "Hi Tye! I wanted to thank you for doing such a wonderful job on the tile in my shower. It looks perfect! If you ever need me to talk to anyone about your work I will certainly be happy to do that! Thank you again. Have a great day!" 5★★★★★ - "This is commend TC’s Blinds & Tile Services for a residential remodeling project that covered a master bath, another full bathroom and a third bathroom. Mr Callaway provided superior service and performed high quality work with minimal disruption to our home lifestyles. Additionally, he was punctual, cleaned up every day and courteous. We plan to engage him on additional projects. I highly recommend your consideration of TC’s Blinds & Tile Services. Feel free to contact me through Mr. Callaway for additional information." 5★★★★★ - "I think TC's services is both friendly and professional. They were quick on installing our shades and gave good advice. They immediately called after I submitted request and were ready to discuss the problem and schedule an appointment. They arrived on time the day of the appointment, completed the repairs on-site and checked other shades to see if adjustments were needed. I would definitely call TC's services first if I needed any additional assistance." 5★★★★★ - "Our house in Old East Dallas is almost 100 years old and Tye's tile work completely transformed a sunken conversation pit. Excellent craftsmanship, attention to detail, clean and rapid finish-out and honest. Highest recommendation possible and will use him on all future tile projects." 5★★★★★ - "We would like to thank you for the excellent job you did on the renovation of our bathroom in our new house, we appreciate the time you spent with us explaining the different options we had on what kind of tile and design we could have. We are planning another project for another bathroom and would like to have you do this one also, as time comes closer, we have given your cards to several friends who have inquired about the great job and hope this will help grow your business. Thank you again and look forward to working with you in the future." 5★★★★★ - "Tye did a great job on the solar screens he put up for us. He takes a lot of pride in his work. great job Tye!!!!" "This past winter a pipe burst in the ceiling of our patio. The amount of water damage required the whole ceiling to be replaced. After nightmare situations with other contractors in the past, TC's is a breath of fresh air. Talented, knowledgeable, dependable and fair. I have never seen anyone care about perfection like TC's. It's nice to be able to turn your back and know that your job will get done. I would like to add that when the job was finished, my ceiling looked better than it did when the house was new. YES, I will hire TC's Blinds & Tile Services again." 5★★★★★ - "I am so thankful for the services provided by TC's Blinds and Tile Services! Tye was patient, flexible, and willing to listen to my ideas and questions - which were many! He walked my husband and I through the process of renovating our entire bathroom. My husband and I were often times on the opposite side of the spectrum in which our next step should be, however, Tye was able to walk us through to a place where both us were satisfied. Tye is meticulous in his work. You know up front what will be his cost - and regardless of the time it takes, he sticks with his word. He is trustworthy and needs no babysitting. I am so appreciative of his work ethic, his attitude, his integrity, and his willingness to listen to the homeowner and their ideas. He is welcome in my home any time, and will be the go to person for any future renovations in my home. Also, he advertises himself as tile and blinds, but I truly believe there isn't anything he can't do! Feel free to call me if you have any questions regarding this recommendation. My recommendation is without reservation and I will be happy to share our experience."